Granulation can be considered the same as pelletization, the method of agglomeration or particle size enlargement, but it often refers specifically to applications within the fertilizer industry. Granulation is generally carried out in a granulation/agglomeration drum, and sometimes includes the addition of a pipe reactor if a chemical reaction is involved. The process works by tumbling material in a rotating drum, typically in the presence of a binder. As the drum rotates, the material fines become tacky from the binder, and pick up more fines as they tumble among themselves to form agglomerates. The tumbling action of the material inside the drum also helps to further round the agglomerates and create an overall homogeneous mixture. 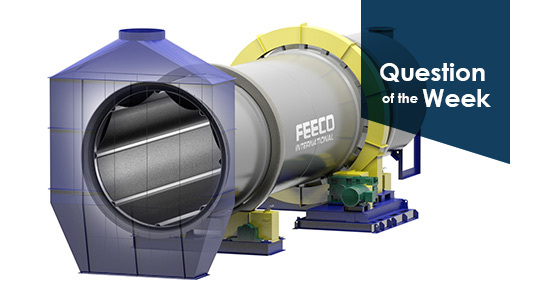 FEECO’s granulation drums are constructed with quality, built for longevity, and backed with over 65 years of experience in serving the fertilizer and agricultural industries. Contact us today to learn more about our custom granulation drums.